The countdown to the Rolex 24 is in full swing. My Facebook account is already full of pictures from the event, Twitter is in high gear with Rolex 24 updates, and I'm already looking for creative ways to clear the deck for all other weekend activities that might get in the way of following the race. This is the race that pays the bills for much of the season for successful teams and there's everything at stake over the 24 hours! 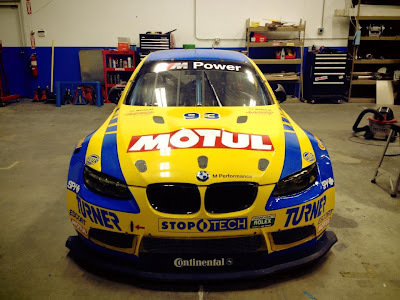 Today we follow one of the most successful teams at the event, Turner Motorsport, to find out what goes into preparing well for a 24-hour race. 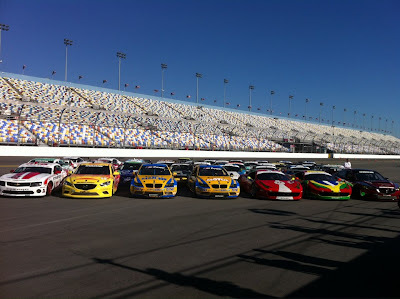 Most of the preparation that goes in between the Roar Before the Rolex 24 and the time the trucks leave for Daytona is focused on making sure the cars' components will last the entire 24 hours. Fittings and hoses are replaced, driver comforts are tweaked, pedals are adjusted, cooling systems and air ducts inside the cabin are optimized. The team replaces all lexan and installs windshield tear-offs, as spares are very important for the race. Spare nose clips are built and vinylled to match. 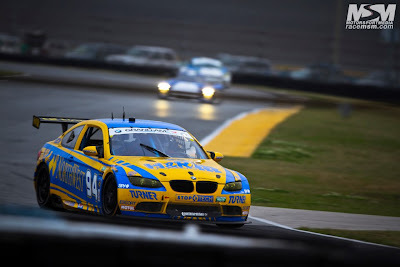 Electrical system are looked over very carefully, as they can make or break the race, especially at night. (Electrical failures could even be catastrophic.) Setups for wet and dry conditions, as well as cool and hot track are finalized. Ready to go on the hauler! The team makes sure the right number of spare wheels with tire pressure monitoring sensors are available. The cars are fine-tuned to factor in all driver feedback from the test weekend. One of the main overall objectives is to make sure the car has all needed spare parts and that the team is ready to deal with whatever the race throws at it. 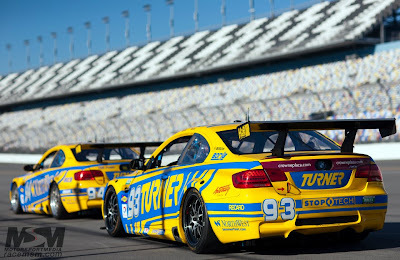 According to Turner Motorsport, "Extra time and effort is put into making sure there are NO weaknesses in the cars. It’s the weak link that will bite you. Everything must be checked and checked again." And they mean everything: hoses, fittings, clips, nuts, bolts, wires, etc. Two 18-wheeler haulers with two cars in each make the 2-day trip from Turner’s shop in Amesbury, MA to Daytona. Each trailer has all the spares, parts, equipment, and consumables to support the cars. The logistics to support 4 cars, all drivers and crews are mind-boggling. We will cover the specific item quantities that go into the race prep shortly: everything from the number of scrambled eggs and trail mix bars, clothing, supplies, pit setup, electronics, and marketing materials, down to the number of Red Bulls per driver. Stay tuned! 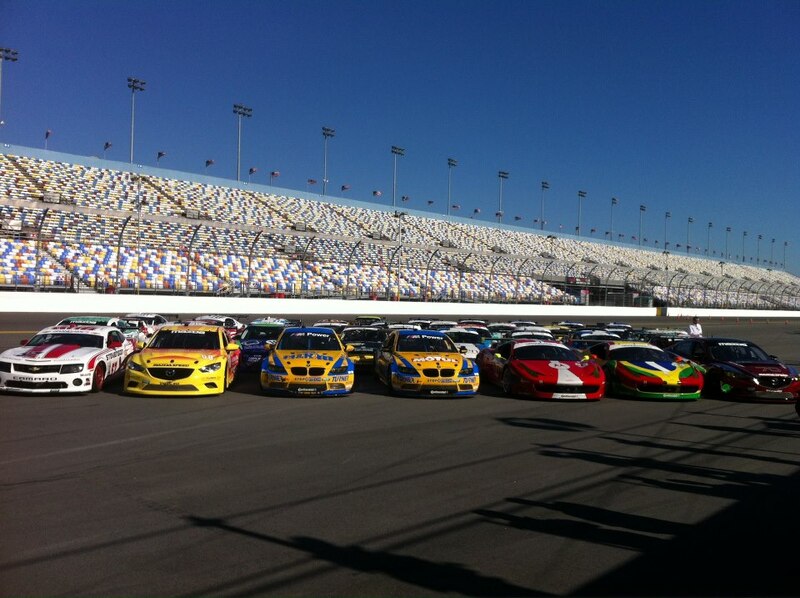 The Turner cars, front and center for the Rolex 24 group picture!